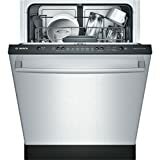 Home Dishwasher Guides The Best Bosch Ascenta Dishwashers: Love Cooking Again! I like to spend time in the kitchen, one of my favorite hobbies is cooking. It makes me happy to turn food into a great meal that is enjoyed by others. The one drawback of cooking is that I have to wash the dishes. That's why I am a big fan of Bosch Ascenta ​Dishwashers. They make life easier and more enjoyable. Instead of spending time washing dishes by hand, you can throw them in the dishwasher. I have used a lot of dishwasher brands in my lifetime. Some are great, while others have issues, such as not cleaning efficiently or leaking water. I am always on the lookout for a great dishwasher. 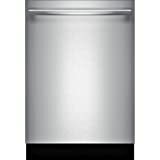 One of the brands that are more reliable according to consumer reports is the Bosch Ascenta dishwasher. 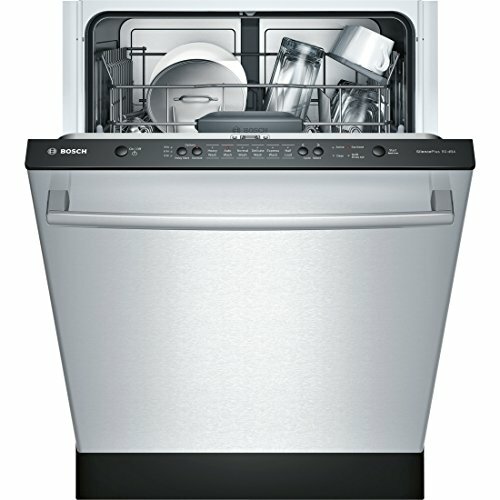 When shopping for this dishwasher, how do we know which model is right for us? It depends on many factors. 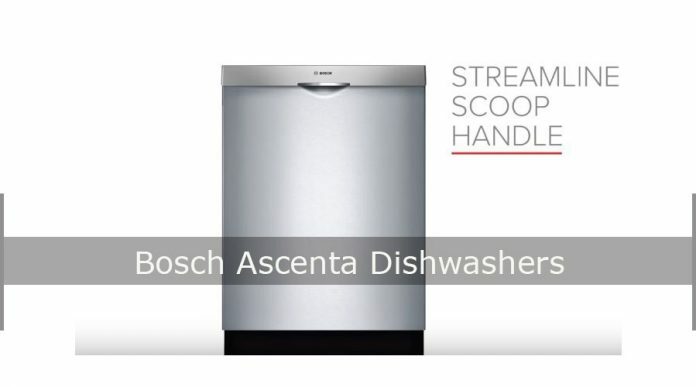 What Are Bosch Ascenta Dishwashers? 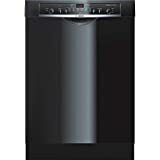 Bosch Ascenta Dishwashers are dishwashers that are made by the Robert Bosch company. They are designed to be very quiet when they are running. Furthermore, they have a stainless steel tub with a polypropylene floor for durability, an overflow protection system that helps prevent water leaks, and they light up to let the consumer know when the dishwasher is running. Finally, they are energy efficient, and they go through an extensive safety check before they leave the factory. 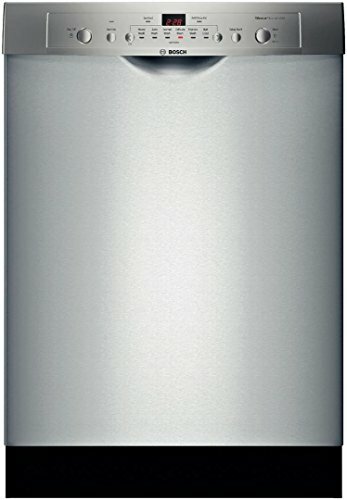 This brand of dishwashers washes dishes thoroughly without the need for prior dishwashing or rinsing. Furthermore, they use less water than many dishwashers because they don't have a heating option. Instead, they use a condensation drying process. You will also find that the sizes of Bosch Ascenta models will fit on your kitchen perfectly. 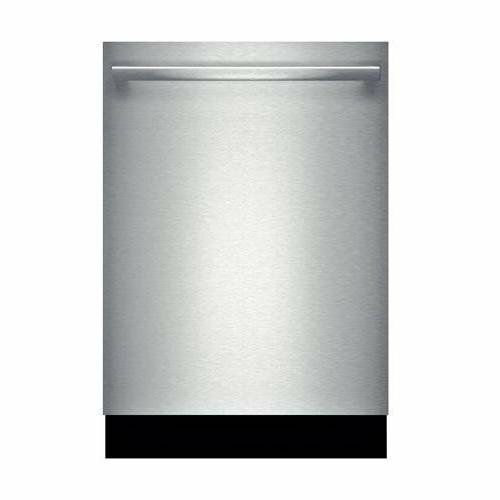 Depending on what you're looking for, you can find a Bosch dishwasher that suits your budget. You may find some models in premium prices but Bosch appliances are durable, you just have to use them properly. With that, let's a take a look at the best dishwashers Bosch has to offer. My first choice was the Bosch model SHE3AR75UC. It has a delayed start, an option for sanitation, and six wash cycles. Furthermore, It has 2.6 out of 5 stars on Amazon. Its pros are that it is quiet, it dries dishes very well, the dishes come out clean, it has easy-to-load racks and user-friendly settings. The cons are that consumers found it difficult to repair and hard to load. You can for the cost of this dishwasher. Finally, it's available at Sears, Lowe's, eBay, Amazon, Home Depot, the Bosch company website, and other retail stores. This dishwasher is white, has 14 place settings, six wash cycles, an option for sanitation, a delayed start, and standard racks. Also, It has 2.9 out of 5 stars on Amazon. It boasts an Express Wash feature, which cycles take only 30 minutes or less to complete. 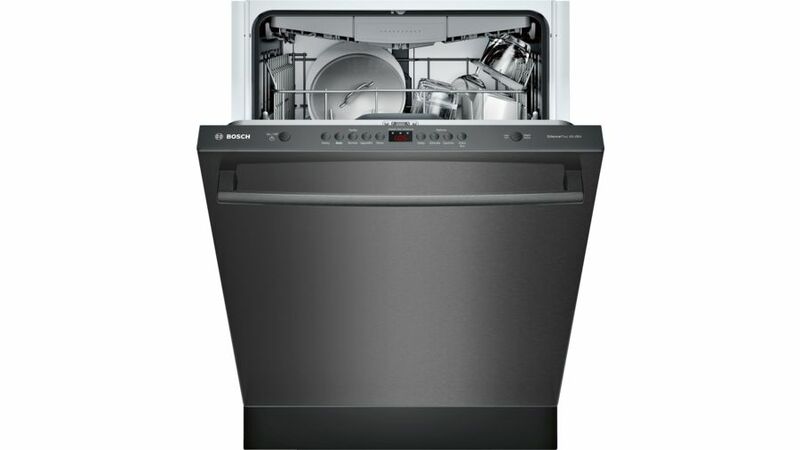 This is great compared to Kenmore Elite Dishwasher which cycles take 3-4 hours to complete. The pros are that it is quiet, the dishes come out very clean and dry, the settings are user-friendly, and it can wash a variety of dishes. Its cons are that it has no indicator or alphanumeric panel for time, and some consumers found it hard to load. You can for the latest price. Also, it is available at Sears, Home Depot, eBay, Amazon, the Bosch company website, and other retail stores. This third choice has 14 place settings, six wash cycles, an option for sanitation, a delayed start, and extra dry. 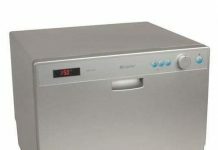 is one of the quietest dishwashers available on the market at 46 dB(A). Its pros are that it is quiet, efficient and cleans dishes fast. The cons are that some consumers found it took a few washes for the soap to come off of some dishes. Also, some consumers found the dishwasher hard to load. It's available on eBay, AJ Madison website, Best Buy, the Bosch company website, and other stores. This model has 14 place settings, five wash cycles, an option for sanitation, a delayed start, and standard racks. Also, it is considered one of the quietest on it's class at 48 dBA. 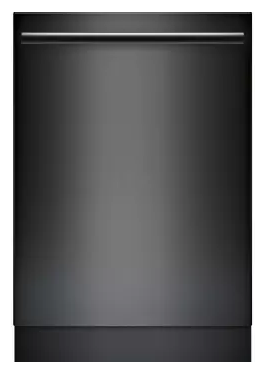 The pros are that it has a sleek design, it is quiet, and it cleans well. Its cons are that some consumers found it hard to load. It's available on eBay, Best Buy, the Bosch company website, and other stores. The model has 14 place settings, six wash cycles, an option for sanitation, a delayed start, and standard racks. Furthermore, it's rated 3.0 out of 5 stars on Amazon. The pros are that it is easy to install, it is quiet, and it cleans dishes well. Its cons are that it does not dry well, and some consumers found that the dishwasher didn't clean the soap off of some of the dishes. You can $624.10 to view the latest price. Finally, it's available at Home Depot, Lowe's, Best Buy, Sears, eBay, Amazon, the Bosch company website, and other stores. 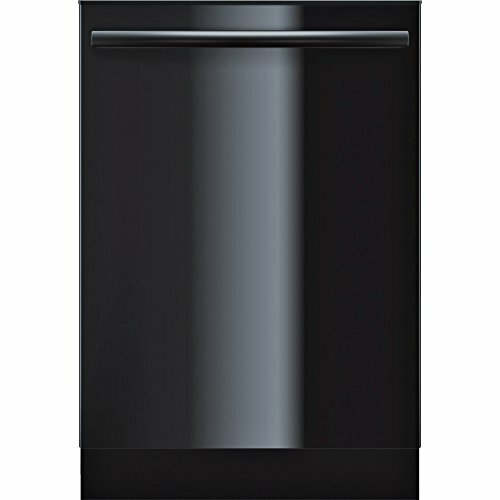 This model is black, has 14 place settings, five wash cycles, an option for sanitation, a delayed start, and standard racks. Most importantly, it's rated 3.9 out of 5 stars on Amazon. The pros are that it is quiet, easy to install and it cleans well. Its cons are that some consumers found the handle to be of lower quality and the dishwasher to be a low value for the money. It's available at the Bosch company website, the AJ Madison website and other stores. 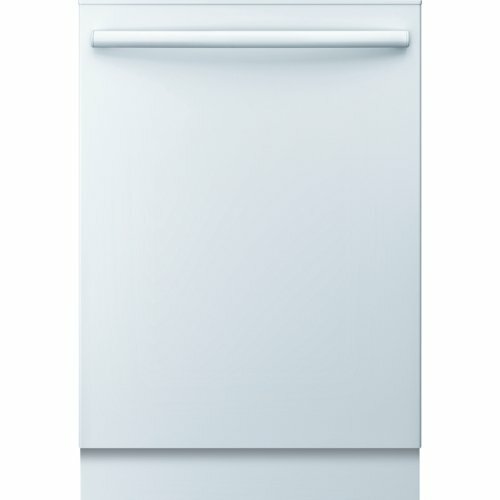 This Bosch Model SHS5AVL2UC is white, has 14 place settings, five wash cycles, an option for sanitation, a delayed start, and standard racks. Most Importantly, it's rated 5.0 out of 5 stars on Amazon. Its pros are that it is quiet and cleans well. The cons are that some consumers found the controls not to be user-friendly. Also, some consumers found the dishes hard to load. 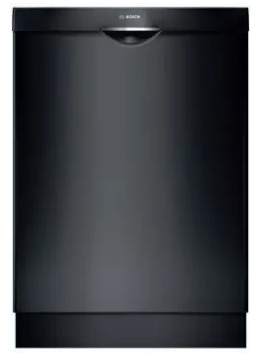 It is currently selling at ​ Out of stock on Amazon. Finally, it's also available on the Bosch company website, and other stores. This model has 14 place settings, five wash cycles, an option for sanitation, a delayed start, and standard racks. Also, it's rated 2.2 out of 5 stars on Amazon. The pros are that it is quiet, it cleans well, and is a good value. Its cons are that some consumers found that the handle had low quality and the dishwasher didn't dry well. The cost ranges from $799.00. It's available at Amazon, the Bosch company website, and other stores. This next pick is black, has 14 place settings, six wash cycles, an option for sanitation, a delayed start, and standard racks. Furthermore, the dishwasher is rated 3.4 out of 5 stars on Amazon. The pros are that it is quiet, cleans well, is easy to install and has a sleek design. Its cons are that some consumers had issues with the door, and some of them found the dishwasher hard to load. It's available at Best Buy Lowe's, Amazon, the Bosch Company website, and other stores. ​Let's take a look at some of the most common questions people have when it comes to purchasing new dishwashers. What makes Bosch Ascenta unique? In the condensation drying process, the final rinse cycle has water that is at a very high temperature so that the dishes are very hot. 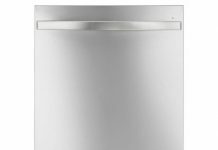 Then, the stainless steel tub of the dishwasher will cool faster than the dishes since stainless steel cools more quickly than glass or porcelain. Also, the condensation occurs when the stainless steel tub comes in contact with the moist air, turning into water droplets. Finally, the water droplets flow down to the bottom of the dishwasher and go down the drain. Because of this, there is no need for a heating cycle at the end of the wash. Furthermore, this process makes the Bosch Ascenta dishwashers more energy efficient. Where can I buy one, anyway? 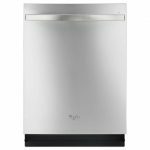 You can buy these dishwashers at several brick and mortar retailers, as well as online. This includes, but is not limited to, Lowe's, Best Buy, Home Depot, Amazon, eBay, Sears, and the Bosch company website. 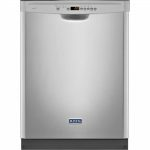 How much do Bosch Ascenta dishwashers cost? The costs ranges from the most affordable up to the most premium, depending on the model and features. The ones you can find in premium prices are the commercial dishwashers. 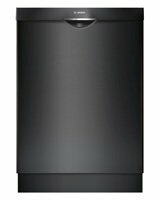 All of the Bosch Ascenta dishwasher models come with a limited one-year warranty. When comparing various products within a line, the best way to determine value is to check quality against price. 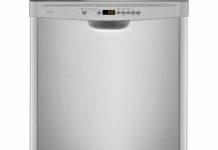 Using user reviews, price information, and manufacturer specs, I've broken down exactly what it is that gives each dishwasher its advantages and disadvantages. Then, I compared individual models against the line as a whole, plus customer satisfaction, to determine the best option for your money. 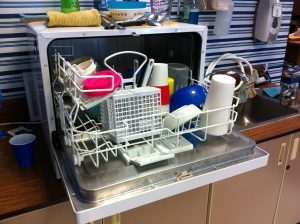 ​Since the dishwashers had similar pros and cons, to choose the best dishwasher for consumers, I went by the ratings and number of pros and cons. Most importantly, I picked the one that had the highest ratings and the best price. Out of the 10 models, the best one for consumers is the Bosch Model SHS5AVL2UC. It has the best ratings, the best advantages, and it is at a good price. Rather than going on Amazon, buy it on the Bosch company website, where it is half the price. The one drawback for consumers regarding this model may be the white color. If the design is essential to you, the one that is closest to the Model SHS5AVL2UC is the Model SHX5AVF5UC, which has high ratings, a sleek design and six wash cycles instead of five. Furthermore, consumers consider it as efficient as the Model SHS5AVL2UC. Are you a Bosch customer? 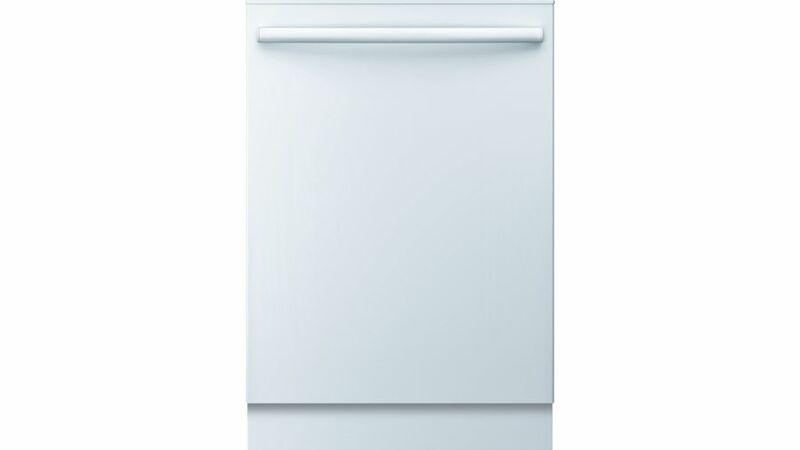 Tell us what your favorite model of Bosch Ascenta dishwashers is in the comments! Featured image: Video screen capture, Bosch Ascenta Dishwashers, via YouTube, caption and filter added.